Submitted by mark on Monday, March 12th, 2018 at 3:51 pm. Support Auckland's art community and Heritage New Zealand! An exhibition of paintings by prominent artists with an interest in the protection and restoration of Auckland buildings and beyond is commencing soon at Railway St Studios in Auckland, with a percentage of the sales of the works going to support Heritage New Zealand’s work. Four Auckland-based artists are concerned about the protection and documentation of our heritage. This art exhibition highlights cherished icons such as Rangitoto baches, the Esplanade Hotel, St Mary’s Bay villas, trams and cottages at Motat, to name a few. "The images in this exhibition show something of this precarious and often threatened heritage," says artist David Barker. The Past and Present exhibition and its core theme of protecting heritage is a great fit for Heritage New Zealand and it is pleased to get behind it. "Any financial support that comes from the exhibition will help Heritage New Zealand to protect this country’s unique heritage and historic places,” says Heritage New Zealand's Manager of Asset Funding, Brendon Veale. Featured artists are David Barker, John Horner, Graham Downs and Murray Dewhurst. The exhibition at the Railway Street Gallery in Newmarket, Auckland, opens on 15 March and runs until 3 April. For more information please click here. Submitted by mark on Tuesday, November 6th, 2018 at 5:01 pm. Tohu Whenua is the new name for a successful programme identifying and celebrating the significant historic and cultural places of Aotearoa. “Tohu Whenua better reflects the programme’s increasingly national focus and meaning, replacing the original Landmarks Whenua Tohunga pilot name,” says Programme Manager Denise Stephens. “Tohu Whenua acknowledges memories of the land, marking places made significant by our forebears and telling their stories. “The initial pilot programme in Northland launched in late 2016 shows there is considerable pride taken by the selected sites, and this has been repeated in the second pilot programme launched in Otago in December 2017. “Tohu Whenua is a better fit now that the programme has increased certainty as a nationwide marker of our heritage and history. “We needed a name that was more appropriate than the original meaning of tohunga which can translate to one skilled in signs and marks. “Now’s the right time to make the name change as the programme gathers momentum and we increase the promotion and appreciation of the Tohu Whenua. “New Zealanders and international tourists are identifying and visiting these places, which is fantastic not only for the place, but also for the regional economy,” Denise Stephens says. 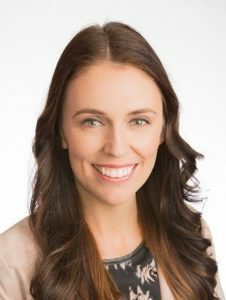 The name change coincides with the South Island’s West Coast selection as the third Tohu Whenua region, with a formal launch of chosen sites timed for early December 2018. A site selection process is being worked through. “The West Coast is rich in history and heritage. Early Māori sites, industrial sites reflecting the gold and coal mining activities, and other special buildings and places have made the selection process challenging, but enjoyable,” says Denise Stephens. The programme, established in 2015, is delivered in partnership by Department of Conservation, Heritage New Zealand Pouhere Taonga, and Manatū Taonga Ministry for Culture and Heritage. These agencies were joined by the Ministry for Business, Innovation and Employment this year. Submitted by mark on Saturday, November 3rd, 2018 at 7:42 am. Heritage Northland Inc will host a trip to visit the three Northern Wars battle sites of Te Ahuahu, Puketutu and Ohaeawai On Saturday 3 November. The trip will start from the Te Waimate Mission Grounds at 10 amwhere Morning Tea will be served from the Sunday School Hall from 9.30am. A briefing will be given outlining the trip and the events of the Northern Wars, and the bus will then depart for Te Ahuahu and Puketutu and finally the Ohaeawai Pa site. On-board and site commentary will be provided by Heritage New Zealand Pouhere Taonga staff. A ‘picnic style’ lunch will then be served back at Te Waimate Mission around 12.30pm. Following lunch break, the Te Waimate Mission Building and grounds will be open for people to explore including the adjacent St John the Baptist Church and graveyard. Afternoon tea will be available from 2.45pm. The cost is $45 per person and includes transport, morning/afternoon teas and lunch. Parking is available at Te Waimate Mission grounds situated at 344 Te Ahu Ahu Road, Waimate North. Toilet facilities are available in the grounds of Te Waimate Mission site. Participants will visit privately owned properties, and with parking limited, no individual transport will be allowed. Bookings essential – contact Merle Newlove on Ph 09 439 7492 or email: m.r.newlove@xtra.co.nz for further details. Submitted by mark on Thursday, October 11th, 2018 at 5:08 pm. Lindis Capper-Starr of the Kerikeri Mission Station and James Robinson compare a Mason and Cash mixing bowl from today with remnants of a similar mixing bowl from over a hundred years ago. An archaeological excavation as part of earthworks associated with a new sprinkler system for Pompallier Mission has uncovered evidence of some delicious baking. Remnants of a ceramic mixing bowl, understood to be manufactured in the 1800s by British ceramic firm Mason – the fore runner of today’s Mason and Cash – were discovered as part of the recent excavation that took place adjacent to Russell’s Pompallier Mission. The historic property is cared for by Heritage New Zealand Pouhere Taonga. “The excavation was carried out as part of the conditions of an archaeological authority which was granted for earthworks associated with the new sprinkler,” says Heritage New Zealand’s Northland Archaeologist, James Robinson. Because the property has been in continuous use, it is not completely clear what period the bowl dates from, though initial analysis suggests the bowl could date back to the 1800s. It’s likely that the bowl broke – perhaps while the owner was whipping up a batch of pikelets, or a similar delicacy – and the bits duly chucked into the rubbish heap. 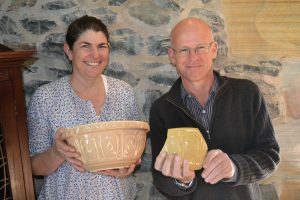 The mixing bowls are not exactly rare – though they have a special connection to another historic property that Heritage New Zealand cares for according to James. “Mason Cash and Co replaced the Mason brand in 1901, and Mason and Cash is still going strong. Mixing bowls almost identical to the one that was discarded in Russell all those years ago, are on sale at the Stone Store along with a range of other authentic trade goods from the 19thCentury,” he says. Manager of the Stone Store, Liz Bigwood, agrees. “We love selling products with brands that have endured for years, and Mason and Cash is definitely one of those,” she says. Installation of Pompallier Mission’s sprinkler system is expected to be completed by summer. Submitted by mark on Sunday, December 31st, 2017 at 5:41 pm. "Practical changes to unreinforced masonry securing initiative"
Changes have been made to the $4.5million Unreinforced Masonry Building Securing Fund (URM Fund) in response to constraints building owners were facing while attempting to secure buildings. 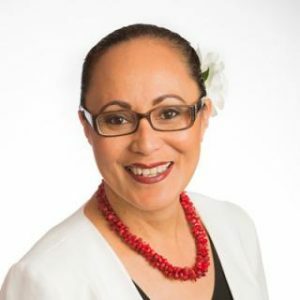 “Changes to the initiative will increase the flexibility of the URM Fund and allow it to be used for more activities,” says Minister for Building and Construction Jenny Salesa. Submitted by mark on Sunday, September 16th, 2018 at 3:54 pm. Heritage New Zealand Pouhere Taonga staff across the country are involved in a number of events to commemorate and promote Suffrage 125 this month and beyond. 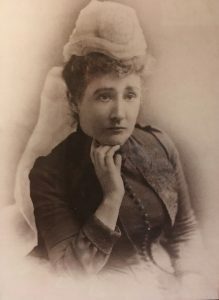 A particular highlight will be a series of suffrage themed community art workshops at six heritage properties in Auckland (Alberton, Sept 22); Christchurch (Ferrymead Heritage Park, Oct 14); Wellington (Old Government Building, Oct 29); Dunedin (Otago Pioneer Women’s Memorial Hall, Nov 3); Oamaru (Totara Estate, Nov 10) and in Northland (Clendon House, Rawene, Nov 24). 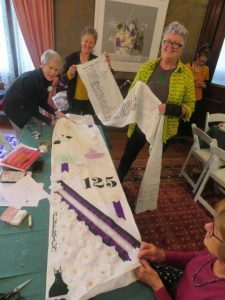 Renowned community artist, Janet de Wagt, is partnering with Heritage New Zealand to deliver an experience in which participants will use painting, printing, stamping, drawing and weaving to create a series of banners inspired by the stories of women’s suffrage. “We’re really excited about involving new groups in heritage and suffrage history,” says Heritage New Zealand Canterbury-West Coast Outreach Advisor, Rosemary Baird, who is coordinating the community art workshops. At Alberton, Auckland, on 22 September,a National Banner art event – for community groups and local craftspeople. Free entry. At Alberton, Auckland, on 22 and 23 September, ‘Suffragists' Tea’– served from vintage china and with plum cake. Submitted by mark on Thursday, December 14th, 2017 at 4:53 pm. Christmas cheer will be coming to Russell once again this year at the annual Carols @ Pompallier concert at Pompallier Mission, the Heritage New Zealand property in Russell, Bay of Islands. Every Christmas, Pompallier Mission and New Zealand’s oldest church, Russell’s Christ Church, come together to host community carols for locals and visitors alike. Local groups and soloists will perform traditional festive favourites as well as modern Christmas songs as part of the show, which takes place on Saturday December 23 at 6pm. Concert-goers will also have the opportunity to sing along to some favourite Christmas Carols. “Carols @ Pompallier is an annual fixture for the Russell community and is a great way for the community to re-connect and kick off the festive season,” says the Manager of Pompallier Mission, Scott Elliffe. People are invited to bring a picnic, rug and good cheer. “Pompallier Mission has the only public gardens in Russell, so it’s a great opportunity for families to enjoy a very pleasant evening of festive entertainment in this beautiful historic setting,” says Scott. Admission to Carols @ Pompallier is free to everybody. (Alternative wet weather venue – Christ Church in Russell).